JDS Personalized Leather Flask: 8 oz. 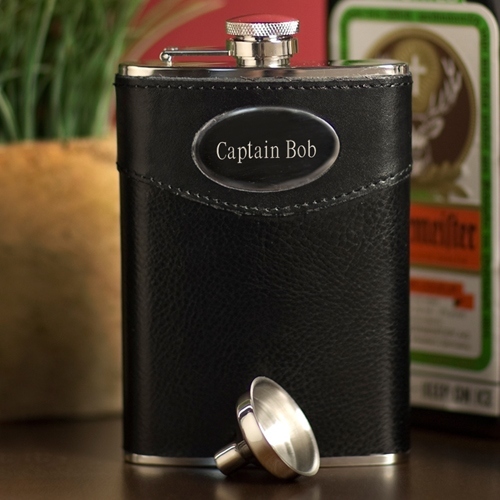 * He'll be in high spirits as he carries his liquid libations — alcoholic or nonalcoholic — in this luxurious leather and silver flask, which holds 8 ounces of his favorite beverage. * Pocket-sized for portability, it includes a special funnel so he can fill'er up with ease. 5.25" x 3.875" x 2"